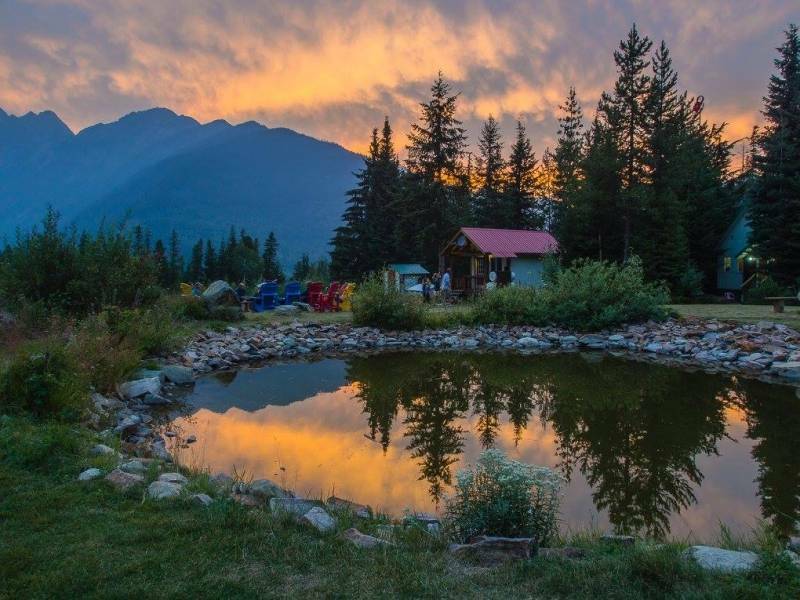 I love discovering amazing venues in the Rocky Mountains and today I'm sharing a fabulous backcountry lodge wedding venue with all the luxuries and amenities you want for an amazing wedding. 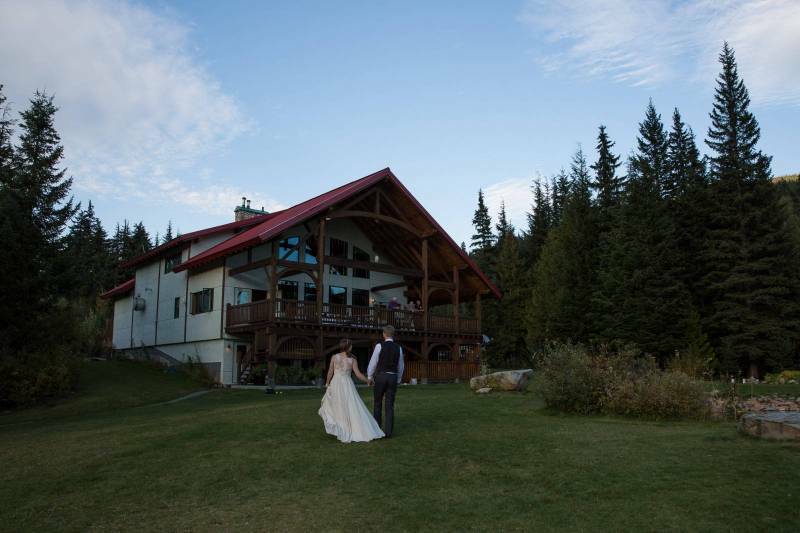 It's a wedding venue in Golden, BC (just 30 minutes from Golden) nestled in the vast expanse of mountains and wilderness overlooking the incredible Rogers Pass. 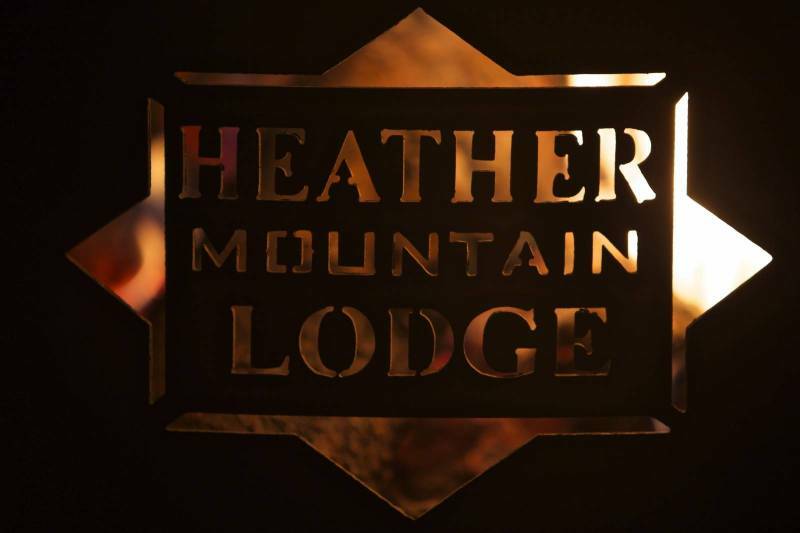 Heather Mountain Lodge is a classic Canadian timber-frame lodge that is completely self-sufficient and has been providing incredible backcountry experiences to heli-skiers and adventurers for many years. 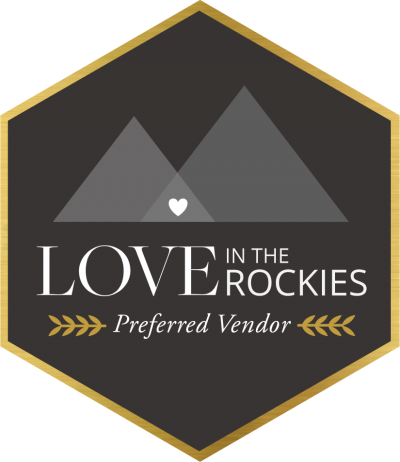 They are experts in hospitality and have some of the most breathtaking views of the Rocky Mountains you can find, and they love opening up their lodge for mountain weddings. Heather Mountain Lodge is the perfect venue for the bride who is looking to get away from all of the tourism and busyness that surrounds most mountain towns, and find peace and wild beauty for her wedding. It's also a private wedding venue where you and your guests can spend the weekend celebrating together in the perfect combination of wilderness and luxury. The lodge has an amazing chef ready to create the perfect food for your wedding. The chef focuses on Canadian, backcountry food and they raise their own chickens and grow fresh vegetables during the summer too, during the winter they focus on game meat. They specialize in amazing dishes like Bison Poutine, Rabbit Stew, Elk, Lamb and amazing Top Round Alberta Beef. But don't worry they can customize anything you need and even do gluten free. ​Most couples choose to hold a ceremony outside facing the mountains but you are welcome to choose anywhere you like. 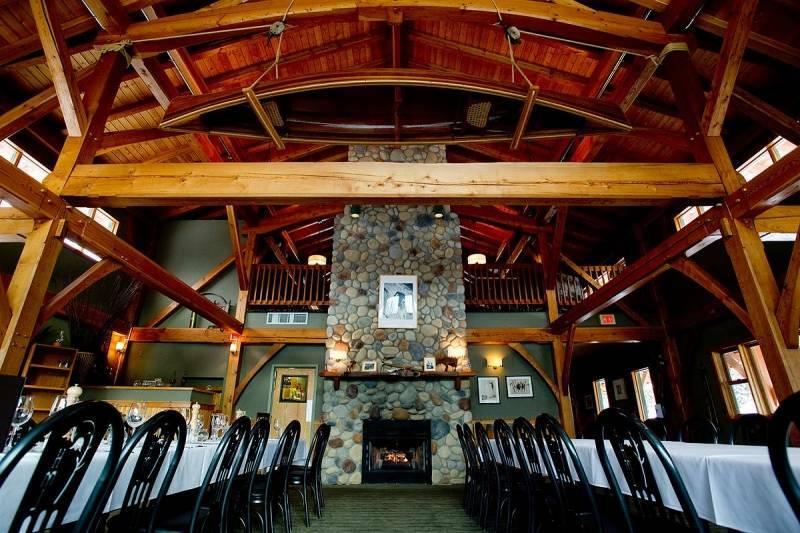 The team at Heather Mountain Lodge will help you find exactly what you need for your ceremony. ​During the warm summer nights, most couples choose to have an outdoor reception under the stars. Imagine long dining tables outside, surrounded by mountains, wildflowers and amazing stars. There is room to set-up a tent as well if you are nervous about hosting a reception without one. The main dining hall seats 90 people for a reception and can hold another 10 extra people in the lounge (the perfect place for the kiddos). 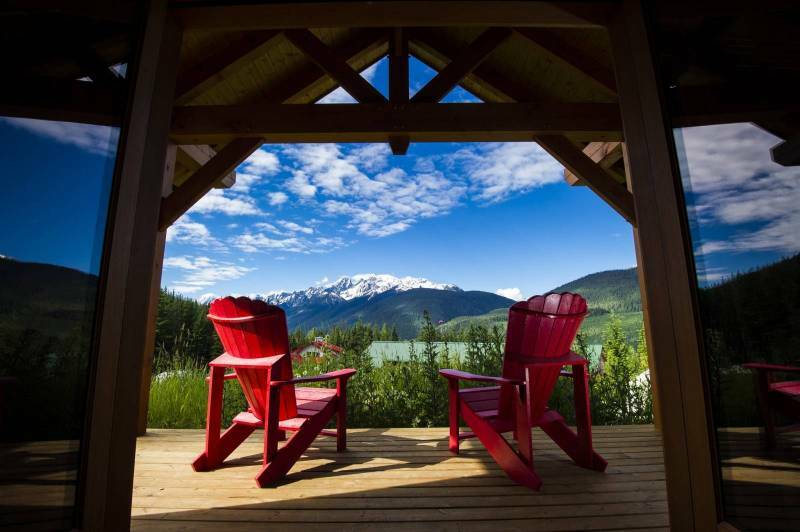 Heather Mountain Lodge is 55km from Golden and 89km from Revelstoke (that's about 300km from Calgary) and it's in the best location to explore the beauty of Canada's Glacier National Park. Find out more on their website. Find out more about Golden wedding venues and more inspiration for your amazing mountain wedding on our site. I hope you love this incredible venue and get a chance to head-out their way to see the beauty in person.